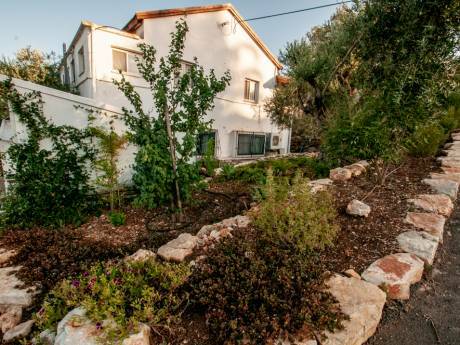 We offer a spacious and newly built house in the northern of Israel. 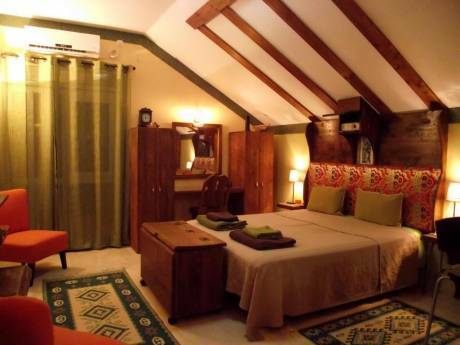 We have three bedrooms: Master bed-room with double bed (200x200 cm) with baby-bed and adjoining WC and shower. We have a walk-in closet room. One with three beds and one with one single high bed. There is one living room, one study office, and a kitchen with big dining table where all the family can eat. It's a very comfortable house with new tiles roof. There is one fireplace and air-condition in every room. We have an open balcony and a garden with trees, bushes and vegetables. We have also self-made sand box. The car parking is near the house. The lower floor is mainly for storage. We are a family of 5: A couple with three girls, ages 11, 9, and 2. We are both professionals (Ph.D. and an engineer) and enjoy travelling. We have not done a home exchange before but heard about it from our friend and we are keen to try it. We would expect to get to know our fellow exchangers via email first to see how best we can facilitate their stay in Israel. 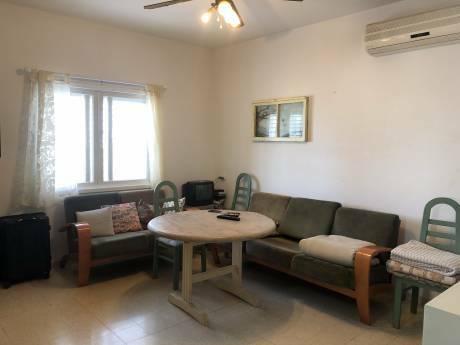 Ideally located as a touring base, our town with its single level private houses in the nature, offers easy access to the city of Haifa with its beaches and tourist attractions, and to Nazareth, the city which Jesus Christ was raised. In less than an hour drive and you can go to the Kineret lake, or in another direction - Tel Aviv, and 30 minutes more - Jerusalem. More closer, there are plenty hiking tracks and bicycle tracks. Out town, although small, has many cafes, shops, and everything you need, like bakeries, supermarkets, banks, gas station, etc.